First & foremost, thank you for dropping by my blog and have a look on my kiddo-style-entries. It has been a long time since I updated my last entries. However, I'm back now and my fingers are ready to hit the keyboard. 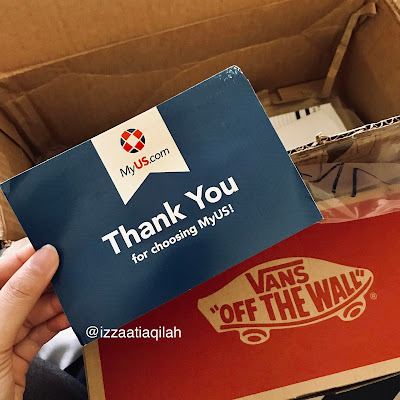 For today, I will be sharing with you guys my first experience in using MyUS.com to shop online in the US online store. Have any of you heard about MyUS.com before? Never? As far as I know, MyUS.com basically provides you (non-US resident) the freedom to shop online on various US online stores that are not providing international postage (eg. US-Malaysia) or only ship to limited countries. When you shop online from U.S. retailers that does not ship to your country, you WILL NEED an U.S. address to be able to receive your order, but you do not own one and you are not living in the US. So, what you do? MyUS.com is the answer! 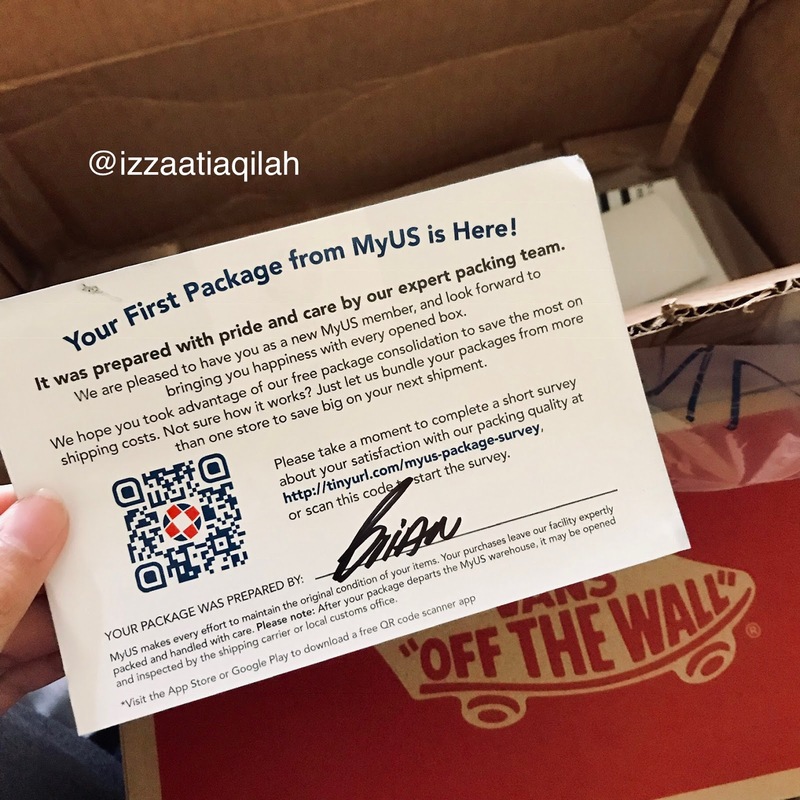 They will provide you with a MyUS shipping address that enables you to shop online from any U.S. retailers and have your parcel ship to your own country. This also enables you to save more on shipping from U.S. to Malaysia (like me) because they combine your multiple parcels and ship to Malaysia in one package! Besides, you will also be able to enjoy TAX-FREE at U.S. retail stores. MyUS is the ONLY company of its kind to earn a tax-free postal code. MyUS members save 7% on every purchase by paying NO sales tax! Simply use their exclusive postal code when shopping US stores, and all your purchases are sales tax free! I discovered about MyUs.com when I was about to shop on Vans.com. 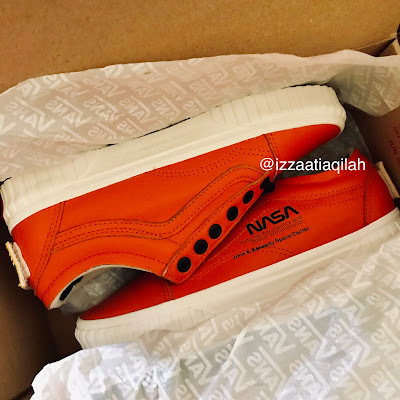 On 2th November 2018, the latest and limited Space Voyager collection by VANS was released worldwide. I fell in love with the collection since the rumors first came out months earlier. I also had tweeted to VANS official Twitter to ask about the collection's first drop date. 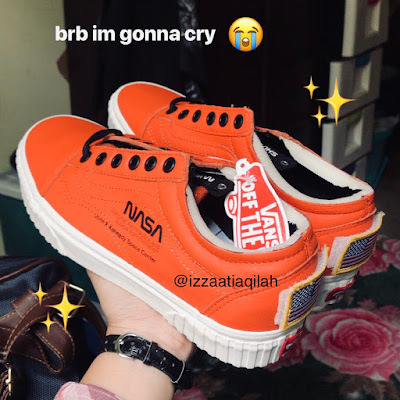 Too bad that I was unable to grab a pair of Old Skool in white because I had few things to be done on the release day and the shoes collection was gone in less than 30 mins in my country. 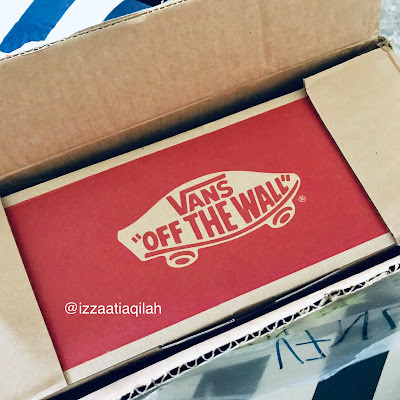 Was too emotional, and I legit cried infront of the VANS store. Then, I thought I had to search for any international retailers that still have stock in store for the Old Skool. Thank God, the official VANS website was still having few. I was too excited to purchase it and without hesitation, I continue to proceed to checkout page. And bummer! VANS U.S. only ships to U.S. address and I did not own one. Luckily, MyUS.com came first in the results when I was searching for any usable U.S. address. I was too happy to know about MyUS.com and without hesitation (again), I signed up for an account. I opted for free account at first but I upgraded to premium later. 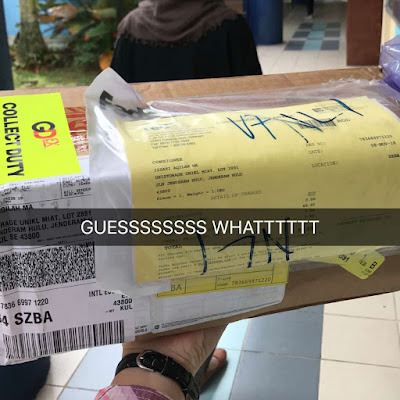 They did well in handling my package because I received them in great condition though my package TRAVELED like thousands kilometer to reach me. Roughly after one and half weeks, I received my package which was today! I am so happy at the moment. Already feeling myself went straight up to seventh cloud. Here are some photos from today's unboxing! If you are about to try MyUS.com, I would suggest you to shop from multiple retailers so that you will not waste much on shipping to your own country. Do not worry if you could not afford to pay such high amount on shipping (after conversion) because they will also provide you with the lowest shipping option. Other than that, invite your friends to shop together with you so you will get to share the shipping cost with your friend. I think that is all for today. Thank you again for reaching down here. Your visit means so much to me. Do comment below, I would love to hear from you all soon. Please reach me at izzaatiaqilah@icloud.com if you need me to amend anything in my entries. Copyright © by izzaatiaqilah. All Rights Reserved. 2010 - 2018. Powered by Blogger.